Fall is upon us, and you know what that means. Soon, stores across the country will be selling cutesy, cheesy Halloween costumes for children, silly decorations, and candy with cartoon ghosts and witches on their wrappers. Television channels will start airing their usual line up of kid friendly Halloween movies and specials, and radio stations will play Bobby Pickett’s “Monster Mash” until your ears bleed. With all of this kitsch, it’s possible for us college students to think that Halloween is just a kid’s holiday. But fear not, my fellow darklings, because there are haunted house attractions across Maryland with enough gore, screams, and chainsaws to fulfill all of your bad dreams. Forget It’s the Great Pumpkin Charlie Brown. These attractions will leave you in need of a change of vocal cords, and maybe a change of pants. 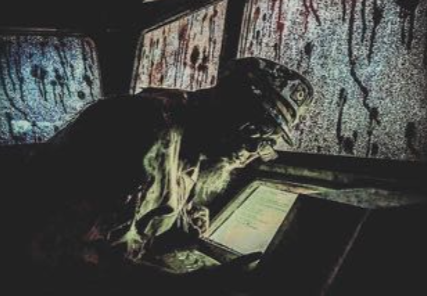 One of the largest haunted attractions in the state, Field of Screams Maryland has four attractions in one. The Haunted Trail and Trail of Terror are two nightmare-inducing walks through a combined twenty-three different stops. Hades Hayride is a literal hayride from hell, while Nightmares 3D gives visitors 3D glasses to enhance the scares. Tickets start at $20 per person and changes depending on the time of month. The event runs from September 22nd to November 4th. Another multi-attraction event, Legends of the Fog, which recently celebrated its 10th anniversary, has four equally terrifying haunts. These attractions include a zombie-themed hayride, a claustrophobic hotel full of ghouls, a circus staring a cast of killer clowns, and a truly twisted corn maze where you’re stalked by monsters. Tickets are $30 per person and cover all four attractions. The event runs from September 23rd to November 4th, and on their last weekend in operation, the lights are shut off and guests are forced to navigate all four attractions in complete darkness. Good luck. Located inside of a historic movie theater, Laurel’s House of Horror opened in 2014, and soon after, it became apparent that the guests and workers were not alone. According to their website, paranormal investigators concluded that the theater was indeed haunted, meaning that that creepy specter you saw earlier may not have been a prop. In addition to the main event, a twisting haunted house filled with all manners of malevolence, there is a new attraction, the Escape Rooms. Each room has a different theme and forces guests to make their way out by solving a number of different puzzles. Laurel’s House of Horror is open from September 22nd to November 4th and tickets start at $25 a pop. The Escape Rooms cost $30 and are open all year round by reservation only. Based out of Isaac Benesch’s historic department store in the Old Town district, The Nevermore has been in operation since 2015 and bills itself as the city’s “most unique and terrifying haunted house.” Though the at- traction lacks the production values of other entries on this list, The Nevermore makes up for it using sheer talent and barebones fear. Inspired by Baltimore folklore, The Nevermore shares its name with a quote from Edgar Allen Poe’s iconic poem, The Raven, complimenting the gothic mystique and turn-of-the-last-century feel that the attraction strives to achieve. 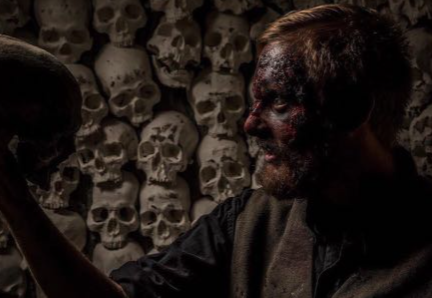 The Nevermore is open from October 6th to November 4th and tickets are $25 each. Located just steps away from the city’s iconic boardwalk, Ocean City Screams offers visitors a bit of nautical fright to complement their Thrashersries and funnel cakes. Built to resemble a wrecked cargo ship, guests are assaulted by the nightmarish specters of the dead crew, and the sea monster that killed them. Unlike other entries on this list, OC Screams bills itself more as a summer attraction than a Halloween haunt. It opens briefly during Memorial Day weekend, before adjusting to its usual schedule, from June 9th to November 4th. While its days of operation scale back during the off season, locals and later year thrill seekers can still enjoy all that Screams has to offer, as they are open the last six days of October, leading to Halloween. Tickets are $16 a person.